Reduction Cleaning Agent (RA – 0010 ) is safe Reduction Cleaning agent. It is used for reduction cleaning process when dyeing and printing of polyester fabric with disperse dyestuff to improve washing fastness. Reduction Cleaning Agent is also used in Hydro substitute, Hydrosulphite substitute, Replacement of Hydro, Replacement of Hydrosulphite. It is odorless and does not decomposes when comes in contact with moisture. Normal Sodium Hydrosulphite absorbs moisture and can start burning. RA – 0010 will not burn. Sodium Hydrosulphite when absorbs moisture its reduction power decreases. RA – 0010 will stable. 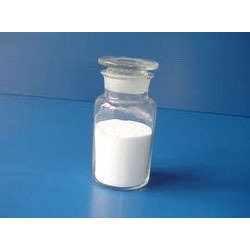 Sodium Hydrosulphite is not stable above 60 oC, RA – 0010 is stable up to 110 oC. Sodium Hydrosulphite decomposes 20% faster then RA – 0010. Use 1 ~ 2 GPL of RA - 0010 at 85 ~ 95 oC. We, at "HKV Auxichem Private Limited" have clinched a vast base of customers to whom we export a wide range of Textile Chemicals, Garment Chemicals, Textile Dyes and Reactive Dyes on a regular basis. We march ahead with a highly progressive and professional approach aimed at result orientation and based on business ethics and management techniques. Alongside exports, we are also engaged in the manufacturing and importing of a wide range of chemicals from different parts of the world. Pretreatment Chemicals, Dyeing Chemicals, Finishing Chemicals, Printing Chemicals & Garment Chemicals are some of the things the house imports. Our integrity and transparency in every dealing has helped us acquire the trust, support and assurance of our exporters that has become the momentum for our growth.